Tigh-Na-Alt is a newly refurbished terrace cottage situated on the first floor. Located on the shore road in the picturesque coastal village of Tighnabruaich. The views are simply stunning and the flat offers great value for money. Tigh-Na-Alt is a newly refurbished terrace cottage. Available for holiday breaks from 01 April 2014. 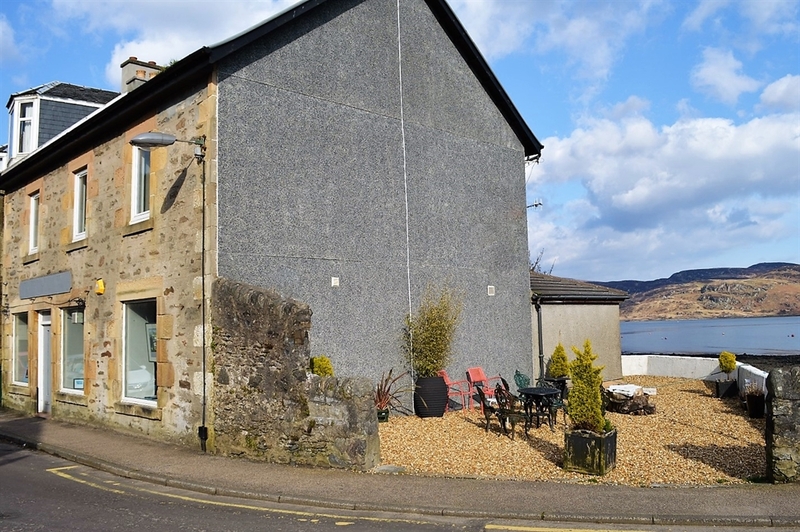 Located on the shore road in the picturesque coastal village of Tighnabruaich. The views are simply stunning. The two bedroom apartment, sleeping 4 guests comfortably, is situated on the first floor above its own small terrace garden. The apartment has a lounge/dining room with wonderful views across the Kyles of Bute and beyond. A separate modern kitchen, shower room and toilet complete the apartment. The location is ideal for walking to all that Tighnabruaich has to offer. Restaurants, various shops, hotels, art gallery, sailing centre to name but a few. The apartment is very well appointed and ideal for staying for a short break or much longer vacations. Great value for the budget conscious.